An antique line engraving by Castle after De Ville. Circa 1840. Later coloured by hand. 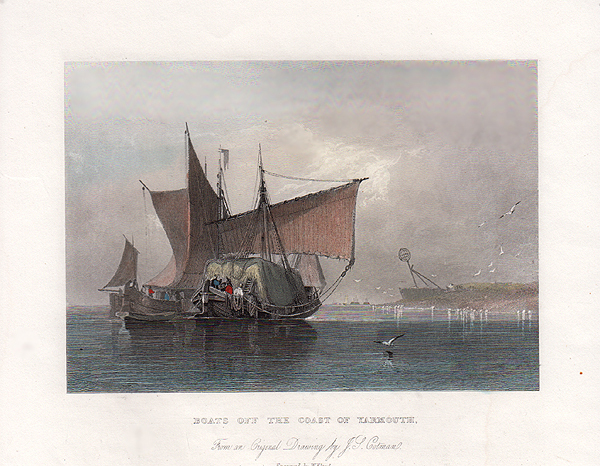 Boats off the coast of Yarmouth. An antique line engraving by W. Floyd from an original drawing by J.S. Colman. Circa 1840. Later coloured by hand. An antique line engraving by F. Stevens after C. Varley. Published in 1815. An antique line engraving by E. Finden after W. Westall. A.R.A. Circa 1835. Later coloured by hand. Newmarket Races - The Cambridge Stakes. 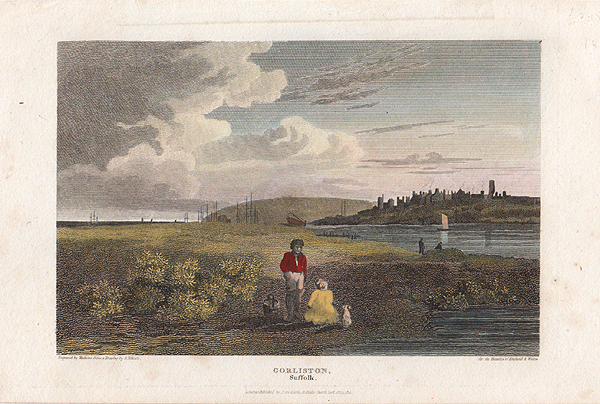 An antique woodcut engraving which was published in "The Illustrated London News" on Nov. 1st, 1845. Later coloured by hand. New Seckford Hospital at Woodbridge. An antique woodcut engraving which was published in "The Illustrated London News" in 1853. Later coloured by hand. 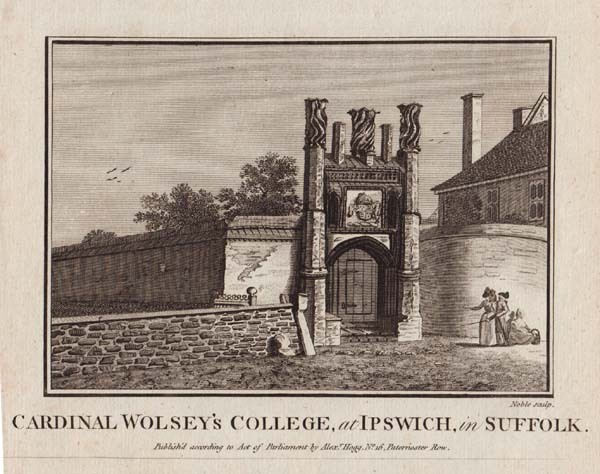 Cardinal Wolsey's College at Ipswich in Suffolk. An antique line engraving by Noble published by Alex. Hogg. Circa 1800. An antique line engraving published by J. & F. Harwood in 1840. Later coloured by hand. 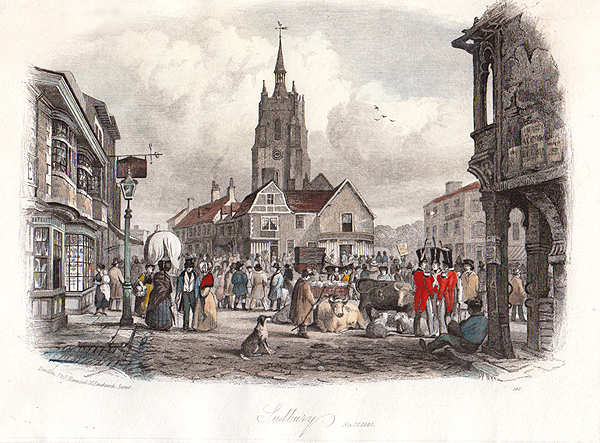 An antique line engraving by Godfrey. Published by S. Hooper in 1785. 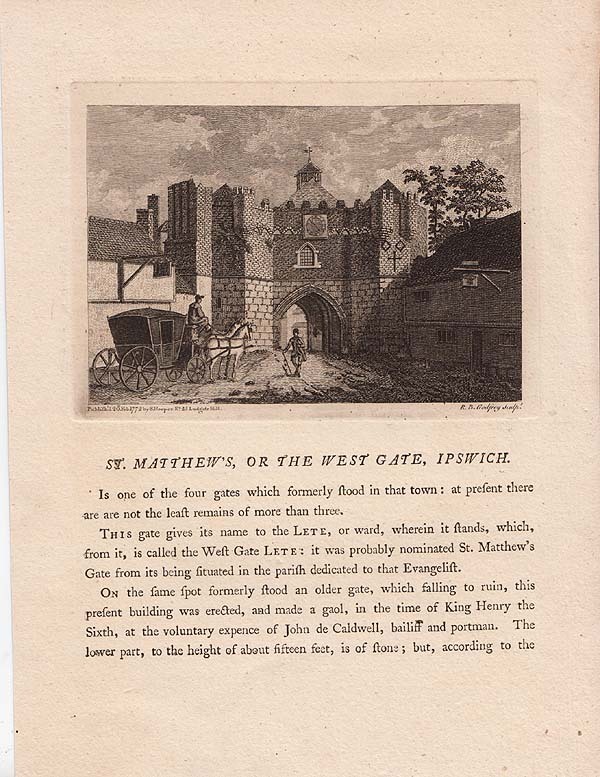 St. Mathew's, or the West Gate, Ipswich. An antique line engraving by R. B. Godfrey. Published by S. Hooper in 1772. The text continues overleaf. An antique line engraving by Castle after De Ville. Circa 1840. 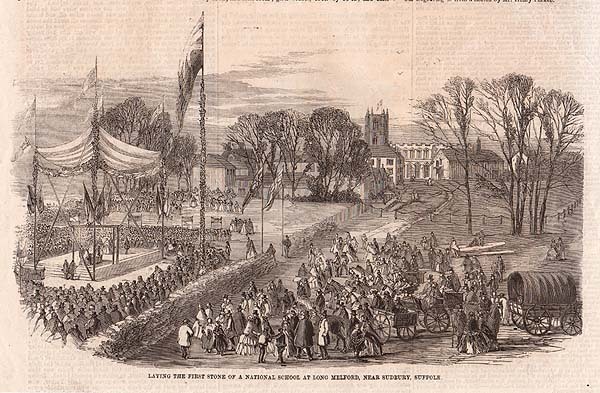 Laying the first stone of a National School at Long Melford, near Sudbury, Suffolk. 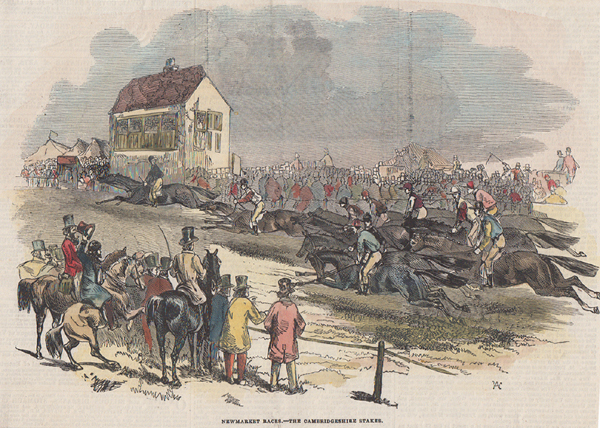 An antique woodcut engraving which was published in "The Illustrated London News" in 1860. The Norman Tower, Bury St. Edmunds. An antique woodcut engraving after W. Thomas. 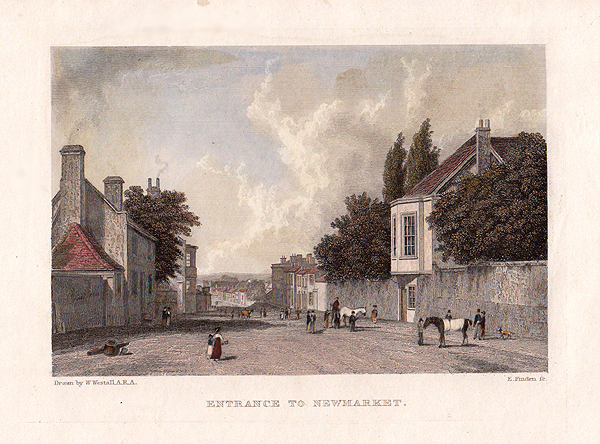 Published in "The Illustrated London News". Circa 1860. 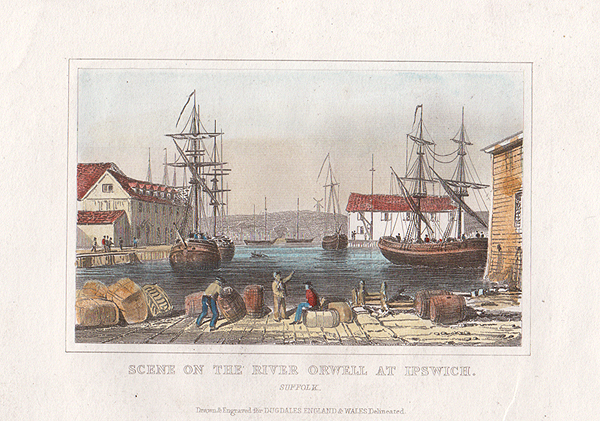 Scene on the River Orwell at Ipswich. 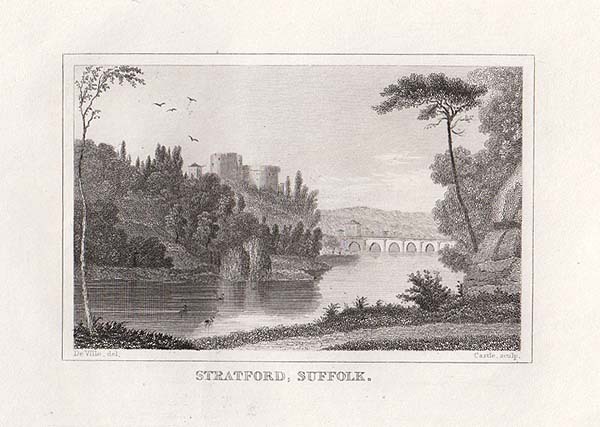 An antique line engraving published in "Dugdales England and Wales" Circa 1845. Later coloured by hand. 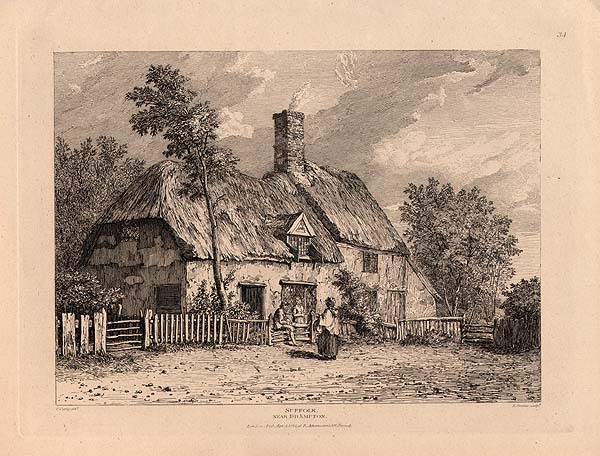 An antique line engraving by Mathews after J.P. Neale. Published in 1812. Later coloured by hand. N. W. view of St. James's Tower, Bury St. Edmunds. 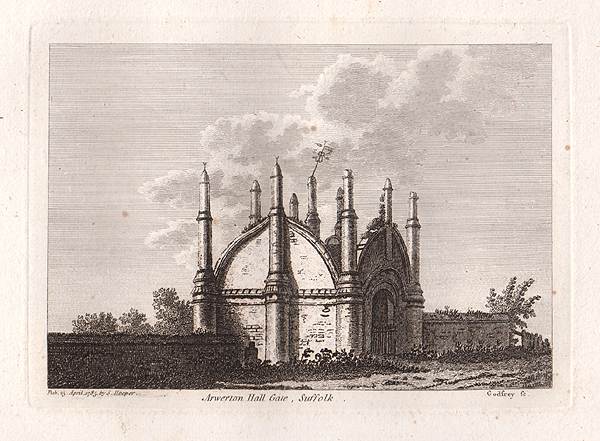 An antique line engraving by R. Sands for "The Architectural Antiquities of Great Britain" from a drawing by J.R. Thompson. Published in 1812. The colouring is later. An antique woodcut engraving prepared for "The Illustrated London News" . Published in 1853. Later coloured by hand.